As Mary Antoinette’s health began to fail, she worried about the future of her son Wally. Who would care for him should something happen to her? If you’ve forgotten, Mary Antoinette was Loren Coburn’s wife. She had a younger sister, Sarah, who promised her Mary she would care for Wally. There would be nothing to worry about. The personal tragedy tested Loren’s already famous testy disposition. He became embittered, lashing out at others, gaining nothing but the hatred of many in Pescadero. He didn’t win friends by refusing to pay a special tax for a new schoolhouse in the village. To avoid the tax, he filed an official protest, winning on a technicality. 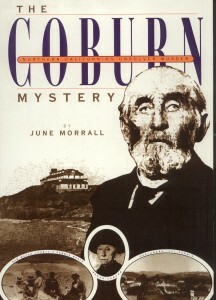 In Pescadero the Coburn’s hired a Chinese servant called “Ah Gee,” to watch Wally. One of Ah Gee’s duties was to feed poor Wally, who was no longer a child, at the dinner table. Many years later, in 1909, at a court hearing, Sarah said that Wally has the freedom of the house and is not confined in any way.” By this time Loren’s wife, Mary Antoinette had passed away, and Loren married her sister, Sarah. They also had moved from the Pigeon Point ranch to a house in the village of Pescadero. As you can imagine, from the descriptions of Wally that I have given, he was far from “normal” and because of that he actually frightened people. To be blunt, poor Wally gave people the creeps. 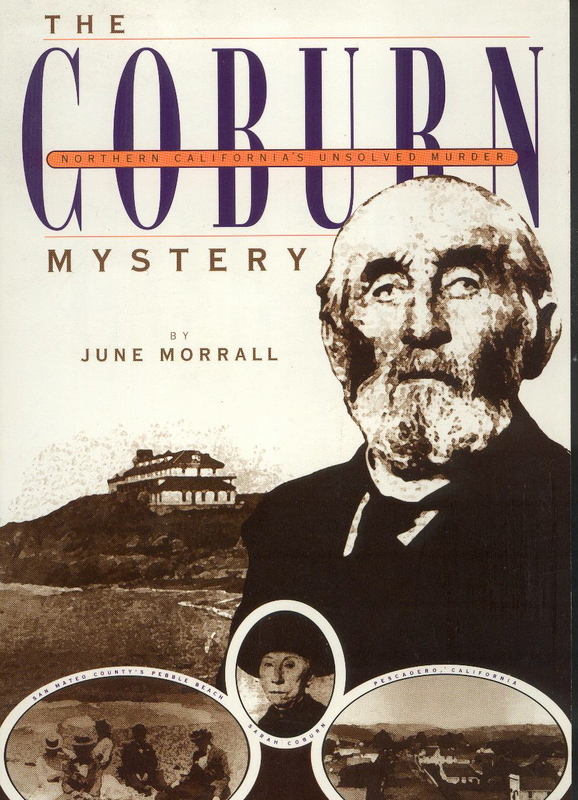 But back in the 1870s the Coburns were living near Pigeon Point. This gave Loren the opportunity to keep a close watch over activities at the profitable landing–remember he had leased the wharf for ten years to a small group of businessmen who began improving the property in 1862. Now it was 1872 and the lease was set to expire. And now rumor had it that suspicious things were going on at Pigeon Point. Who were the businessmen running the wharf? Judge Horace Templeton, Josiah P. Ames and Charles Goodall, all former San Mateo County officials. Judge Templeton also had invested in the Yazor and Gazos Mills as well as the Pacific Lumber Company. Josiah Ames was a former county supervisor who built Amesport Landing north of Half Moon Bay. Some described Ames, a pipe-smoker, as a “bold, bad man,” who was reportedly later named in a 1883 corruption case. According to attorney Crittenden Thornton, who had known Loren Coburn since 1860, “Pigeon Point attracted the attention of an unscrupulous ring of speculators, composed of officials and ex-officials of San Mateo County. They determined to get hold of the property by hook or by crook and to use it for their own purposes. Loren Coburn did not want to renew the lease and when it expired, Templeton, Ames and Goodall refused to give up the wharf. Using their political connections, the men petitioned the Board of Supervisors for a wharf franchise, asking for permission to use the landing for two more decades. As part of their proposal, they promised to continue modernizing the facilities. This was a very smart move, because, if approved, the power of the supervisors could possibly trump that of Coburn. But the supervisors didn’t sign off on the wharf franchise. Instead it became clear that if Templeton, Ames and Goodall re-worked their petition, and asked the Board of Supervisors to condemn the wharf, and the surrounding five acres for the public good, they would get their new 20-year lease.